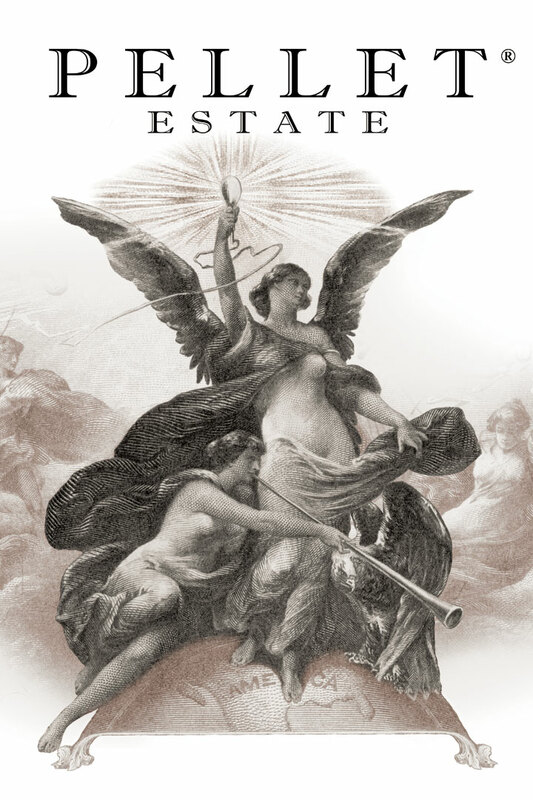 The allegorical image on our label symbolizes the achievements and contributions of Henry Pellet's rich pioneering history in viticulture experimentation and education, and his highly acclaimed winemaking acumen in the fledgling days of our industry. Pellet basically presented Napa Valley wine to the world, in the best light possible. Artist Walter Shirlaw, from the Bureau of Engraving & Printing, created an original work titled "Electricity Presenting Light To The World" or "Electricity as the Dominant Force in the World," which was used as the central image on the 1896 Educational Series $5.00 Silver Certificate. Hailed at the time as a remarkable blend of legend, patriotism and beauty, this note is still widely regarded to be the most beautiful currency in U.S. history.